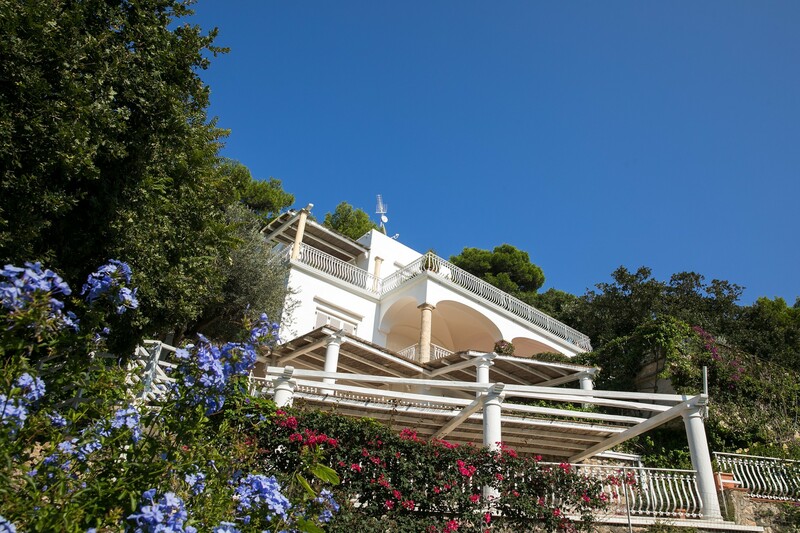 Perched along the elevated hillside on Capri Island, Italy, you will discover the luxurious 8-bedroom Villa Alessandra. 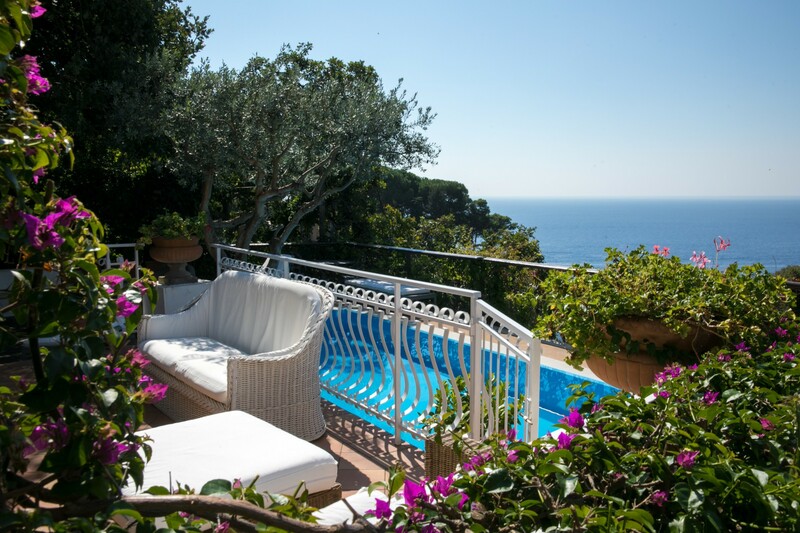 Specifically based in Campania along the prestigious natural cliffs of the Amalfi coast. 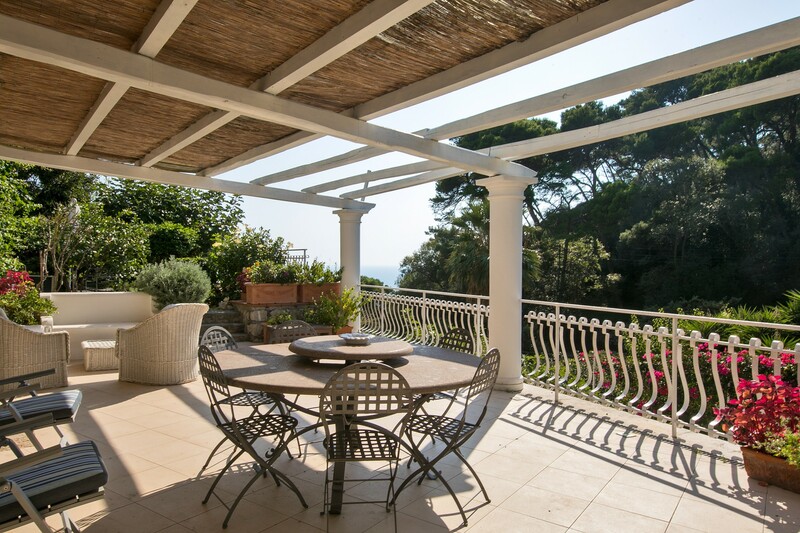 The villa enjoys panoramic sea views and views of the Faraglioni. The villa is secluded in its own tropical paradise, hidden from the mundane world. 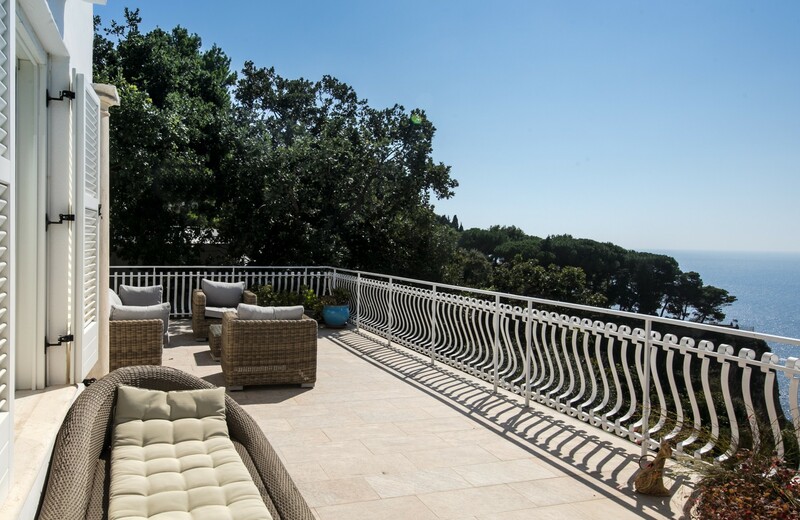 This elegant property can accommodate up to sixteen guests comfortably across its lavish interiors and vivacious exteriors. Following the natural course of the coastline, the property enjoys a peaceful ocean view setting on the Italian island of Capri. 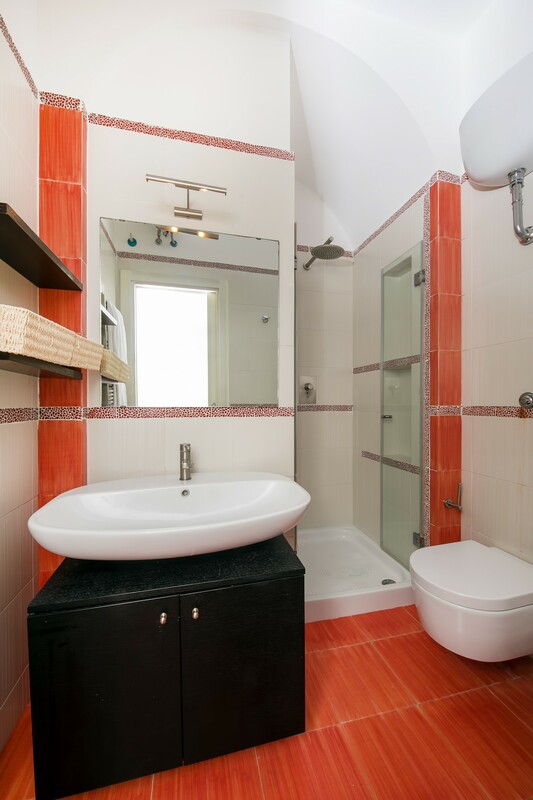 The property is located in a quiet area, a short walk from the local town square. 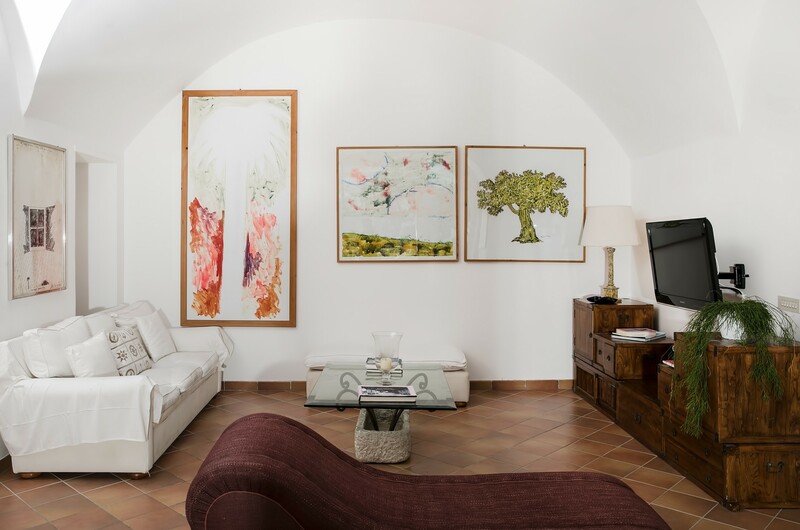 The villa is designed with a pristine, whitewashed aesthetic and indulges in an elegant Mediterranean-style villa, originally built in the 1940s. The exterior living space harmonizes with the local area and creates a modern ambiance as the villa’s interiors blend out onto the terrace. The vast gardens surround the villas elevated, exteriors living spaces. The outdoor terrace is laced in comfortable lounge sofas that oversee the vast views. This incredible outdoor living area is perfect for you to enjoy the warm weather and soothing Italian breezes. Dine alfresco in the mornings as you enjoy a delicious, mouthwatering breakfast surrounded by your loved ones. 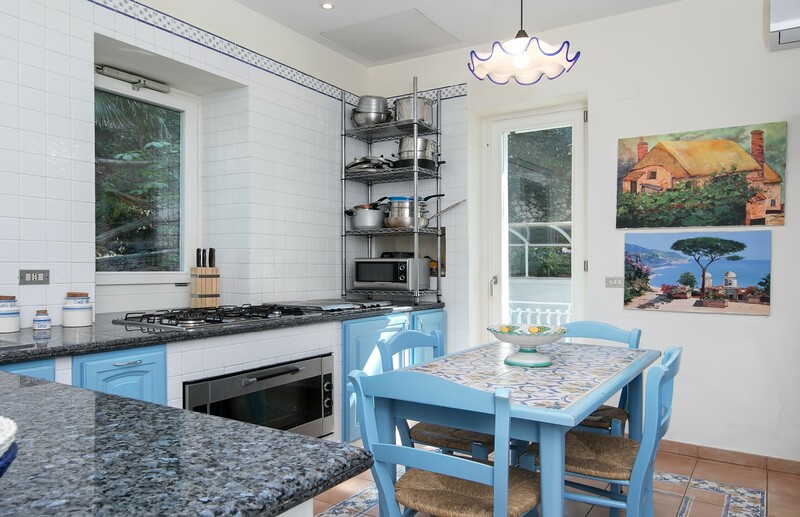 This island style living allows you to soak in the mild climate and serene setting of Capri. Embedded on the elevated patio, you will find the crystallized waters of the swimming pool. The private swimming pool is perfect for cooling down after sunbathing on the sunbeds. Slip into the silk waters and unwind as you watch boats sail by in the distance. In the afternoons you can relax in the private garden along the entrance boulevard or hide away in the tranquility of the enclosed lawn providing 1000 square meters of space. The lawn is laced in vibrant Mediterranean plants and shrubs and also includes a large vegetable garden. 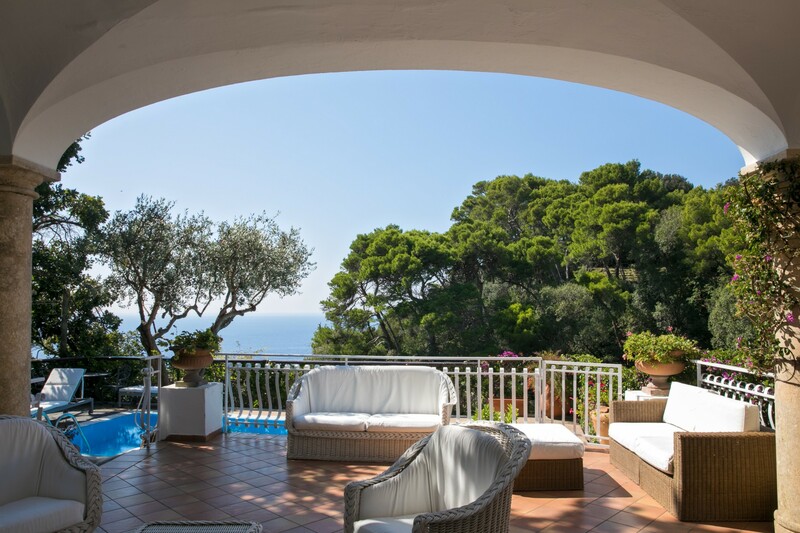 Throughout the villa, you can enjoy the panoramic ocean views, especially from the villas main living area. The main living space combines the living, dining, and kitchen into one main area. 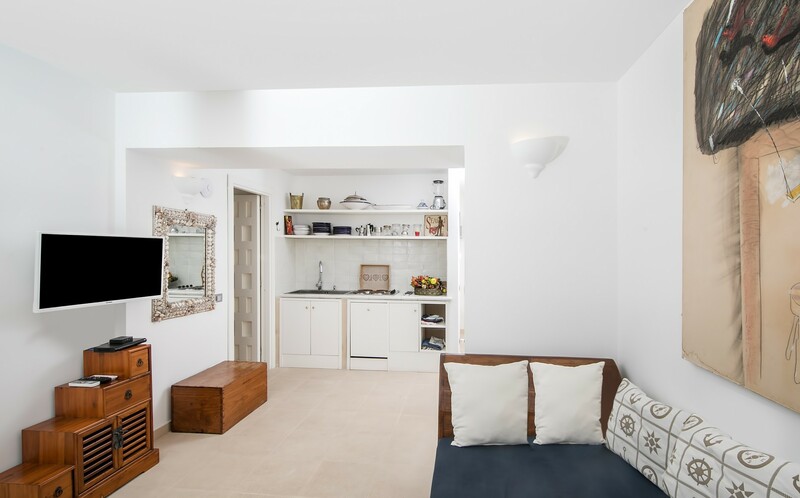 The fresh and bright interiors are flooded in light and warmth as it spills out onto the exterior terrace. The room is laced in vibrant paintings by well-known artists. The room embraces high-rise ceilings and red tiled floors. The living area indulges in plush sofas and sits opposite a TV mounted on the wall. The Kitchen comes fully equipped and ready to use, bursting with a bold blue color palette and elegant granite counters. The interior dining area seats four guests. 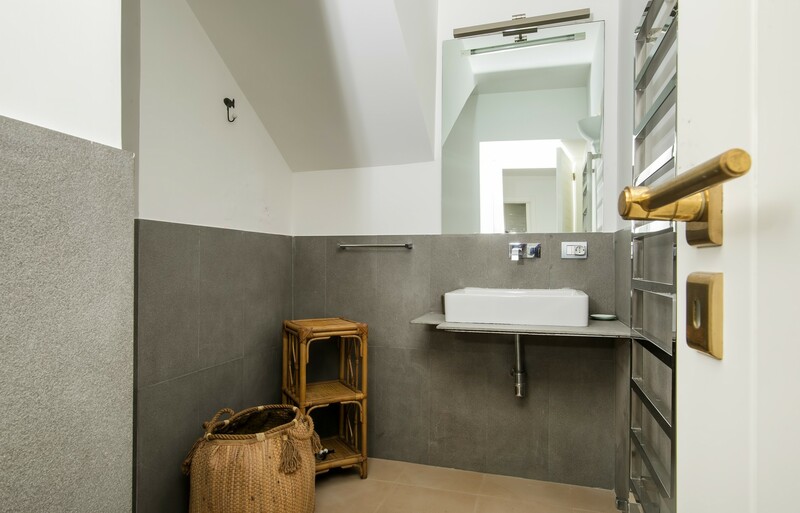 The interiors through the villa are air-conditioned and enjoy a secure Wi-Fi/internet connection. 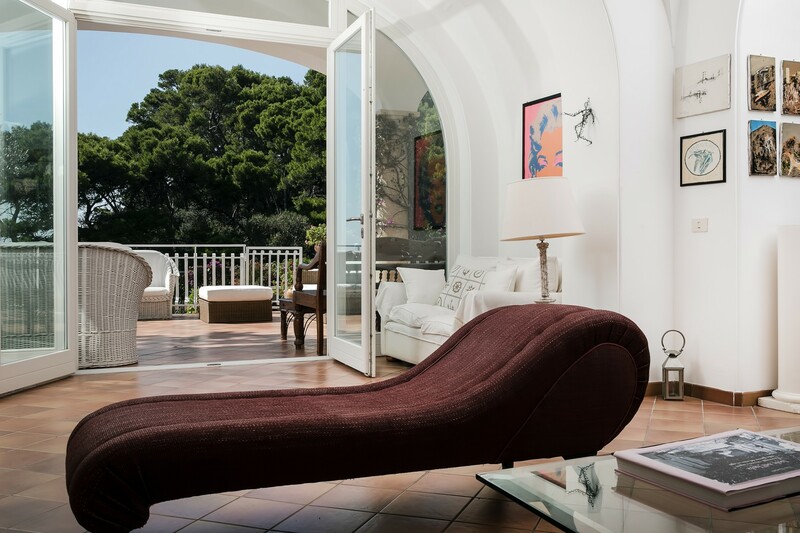 Villa Alessandra has a total of eight luxurious bedrooms and eight bathrooms. 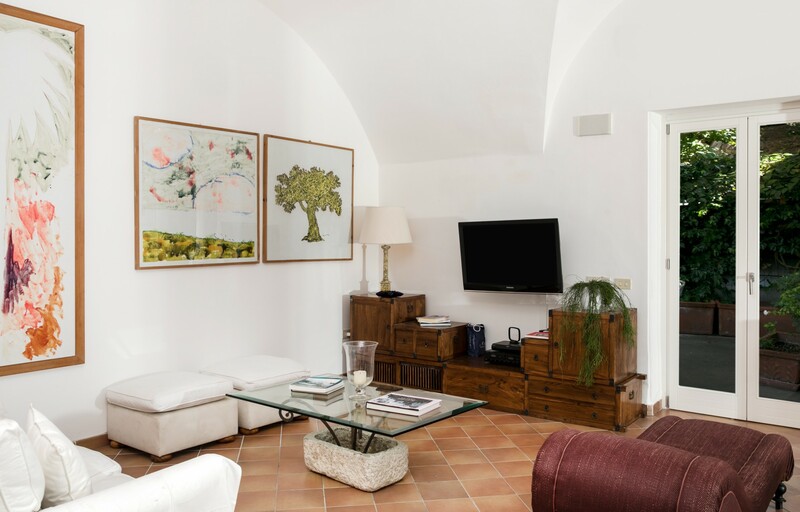 Accommodating twenty guests, the villa consists of four units with a total of twenty beds. 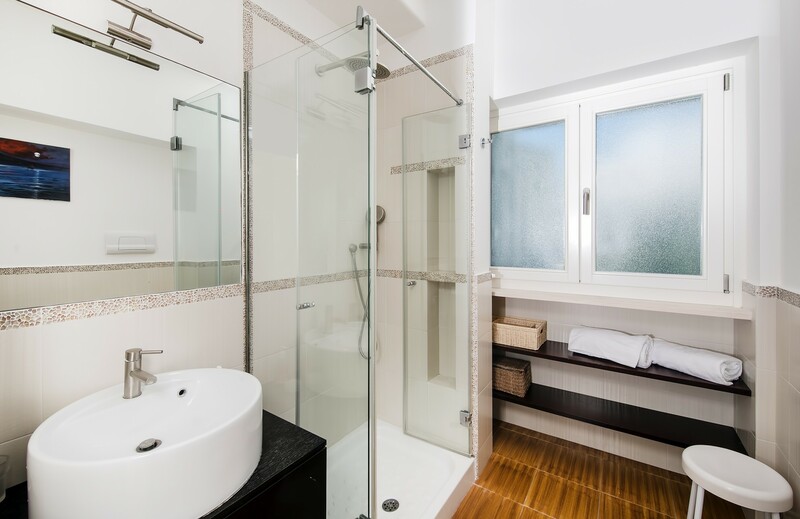 The bedroom enjoys access to private en-suite bathrooms, indulging in rainfall showers and beautifully appointed vanities. 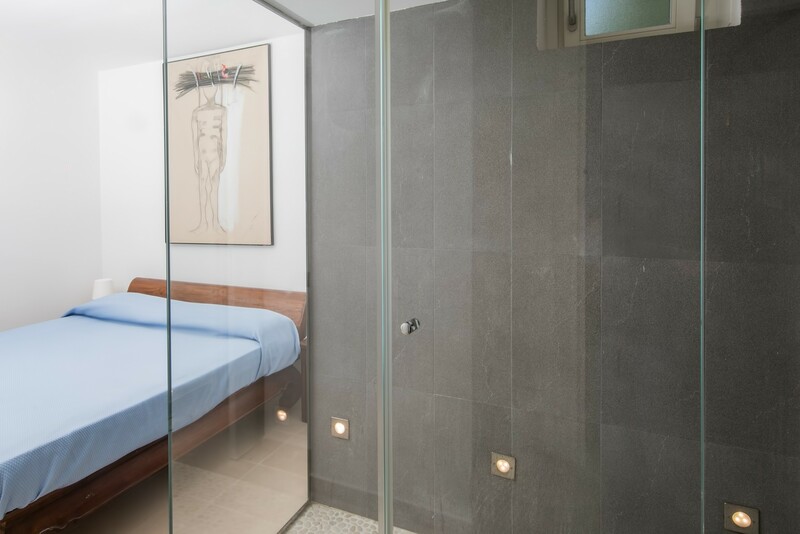 The rooms are fitted with lavish linens and supplied with fresh towels. Some of the bedrooms feature the incredible panoramic ocean views. Villa Alessandra is perched along the elevated hillside on Capri Island, in Italy. 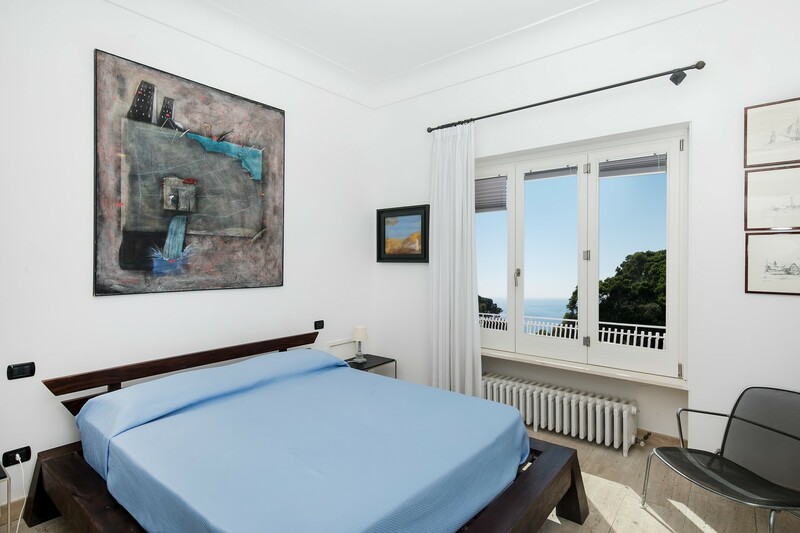 Specifically based in Campania along the prestigious natural cliffs of the Amalfi coast, Alessandra enjoys panoramic sea views and views of the Faraglioni. The villa is secluded in its own tropical paradise, hidden from the mundane world. The Amalfi Coast is one of the most sought-after destinations in Italy, providing a variety of attractions to enjoy. The coastline is laced in a vibrant culture, enriched history, delicious cuisine, and friendly villages overlooking the cliffs. Capri is an island off the west coast of the Sorrento Peninsula and considered the center of Glamour and Romantic Scenarios. The landscape is laced with incredible, steep cliffs and majestically look out over the crystallized blue sea. The island features delicious fine-dining restaurants and museum-quality jewelry shops, perfect for some gifts to take home for your friends and family. The location of the villa is based along the edge of Italy’s Sorrentine Peninsula. 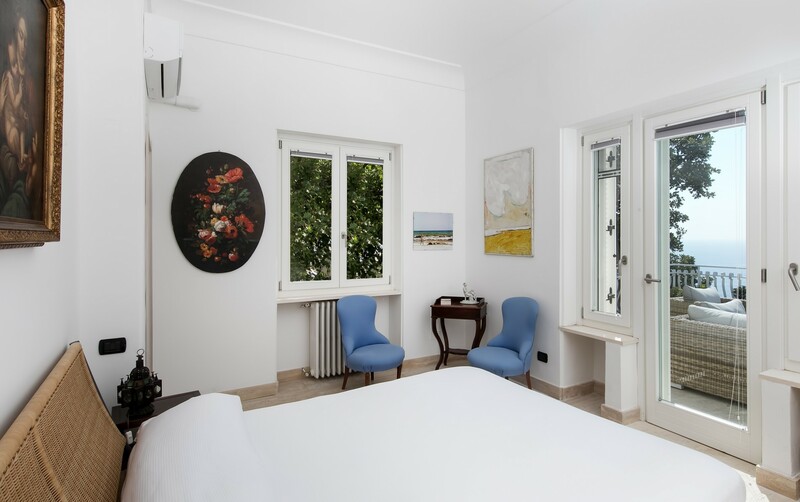 This southern setting of Sorrento provides access to a profusion of historical sites and beautiful destinations along the coastline. One of such sites is based in the local village, at the center of the main square. Here you will find the beautiful Cathedral of St. Andrew, with a breathtaking bell-tower and the charming Cloister of Paradise.